Press Release - National Elite Basketball League (NEBL) - The Pepsi National Elite Basketball League (NEBL) will be hosting its fourth annual All-Star Night on Saturday, March 24th at the Orange Walk Multi-Purpose Complex in Orange Walk Town. The teams have been divided into the Imports Team versus the Locals Team. All-Star night will witness three activities, starting with the Three Point Shootout (2 players per team), sponsored by Old Master Fine Rums at 7:30PM. The always hyped Slam Dunk Contest will follow at 8:30PM, and is sponsored by ASR Group-Belize Sugar. The big All-Star Game, sponsored by Smart Belize Limited, will then take over at 9:30PM. 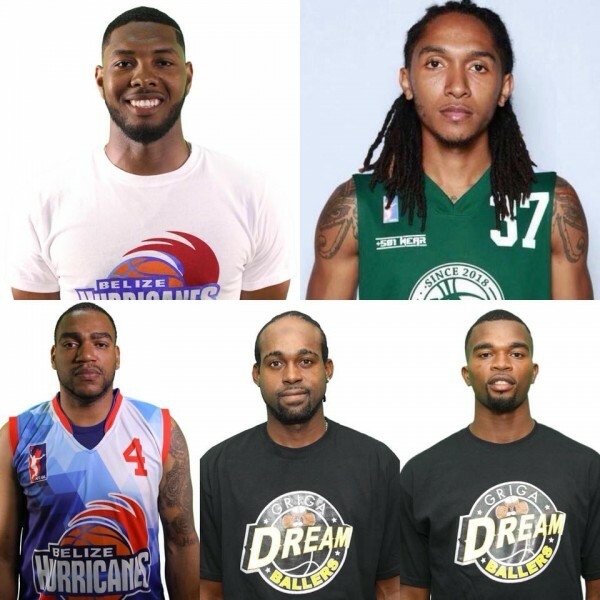 Called to play in the Imports Team are: (Guards) Daniel Conorque – Griga Dream Ballers, Isaiah Thomas – Verdes, Jihad Wright - San Pedro Tiger Sharks, and Leon Jacob – Belmopan Bandits. (Forwards/Centers) James Ewing - Orange Walk Running Rebels, Rassi Jenkins - DigiCell Belize City Defenders, Nigel Jones – DigiCell Belize City Defenders, Luther Page - Belmopan Bandits, Tahj Wells - Griga Dream Ballers, Martevuius Adams - San Pedro Tiger Sharks and Tyson Reynold - Smart Belize Hurricanes. The Local Team features (Guards) Akeem Watters - Smart Belize Hurricanes, Elvis Usher Jr. – Verdes, Roger Reneau - Orange Walk Running Rebels, Daniel Nolberto – Griga Dream Ballers, and Edgar Mitchell - Griga Dream Ballers. (Forwards/Center) Kurt Burgess – Smart Belize Hurricanes, Brandon Flowers - Griga Dream Ballers, Macario Augustine - Griga Dream Ballers, Darwin Leslie – DigiCell Belize City Defenders, Stephen Williams - Belmopan Bandits, Farron Louriano - Belmopan Bandits, and Richard Troyer – Verdes. The league would like to congratulate all the players and coaches who were chosen to participate in the All Star Game. Rico Black from San Pedro Tiger Sharks is the coach with the best record (7 - 1) going into the All Star Weekend, so he will coach the Local Team. Isaac Rhys from Griga Dream Ballers is the coach with the second best winning record (6 - 1) so he will coach the Imports/Belizean American team. This game surely promises to be entertaining, as our local boys will give it all they've got to defend their home turf, especially after losing by 2 points last year.